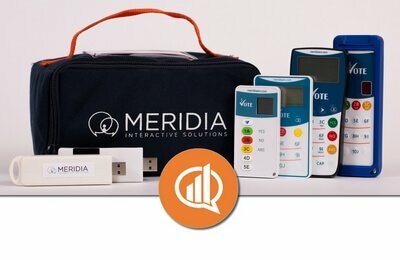 Helping speakers, educators and trainers adopt and customize interactive audience response systems since 1970. 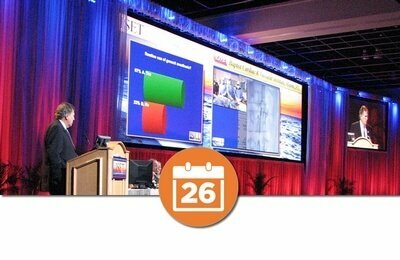 Group response systems are an integral technology of modern classrooms, corporate training, and live events. Electronic response systems increase student content retention, improve participant engagement by promoting interactivity, and reinforce the correct answers. Instructors utilize wireless audience response clickers or smartphones and tablets to communicate with learners and collect feedback on questions throughout a class, training or symposia. 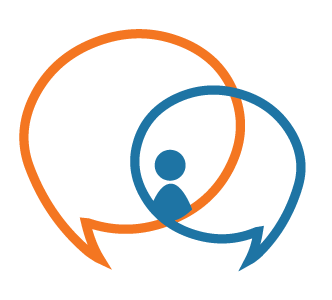 Student response system is a perfect tool to ask for candid and anonymous feedback from participants when reviewing the most sensitive of subject matters. Electronic voting systems improve and accelerate the process of collecting votes and responses from your electorate or representatives in a city council or student senate meeting. By combining voting clickers with advanced election software, you can quickly collect and aggregate responses, Pass/Reject motions and provide detailed participant reports for complete voter transparency. Our system allows for simple majority voting, weighted voting, proxy voting, and can be customized for specific voting workflows. To learn more about how your city council, board or student senate can benefit from an electronic voting system give us a call today. Meridia helps trainers, educators and speakers adopt and integrate interactive audience response systems into their presentations, training content, and lesson plans. Leading the field since 1970, we focus on interactive solutions that help engage participants, increase knowledge retention, and automate data collection. We make group interaction SIMPLE, technology INTUITIVE, and software EASY. All of our products can be quickly customized to fit your needs. Before your next interaction give us a call to take advantage of our years of experience, cutting-edge technology, and custom development. We have the largest audience response rental inventory in the U.S. Audience response has been assisting a wide array of industries and government bodies. Educators use it in classrooms as “student response systems” for testing and knowledge assessment. Student and municipal governments, associations use it to elect their officials, and corporate trainers use classroom performance systems to stage interactive meeting games, and to educate on new products. How do you define the best audience response system? Your needs are different from the next person, so you’ll have a different take on what’s good for you. We like to say that the best audience response system is the one that most closely matches your needs and workflow. We would like the opportunity to help you define that, customize it and pick the technology that’s right for you.